This past Sunday I had the great privilege of attending worship service at a church I served for eight years. 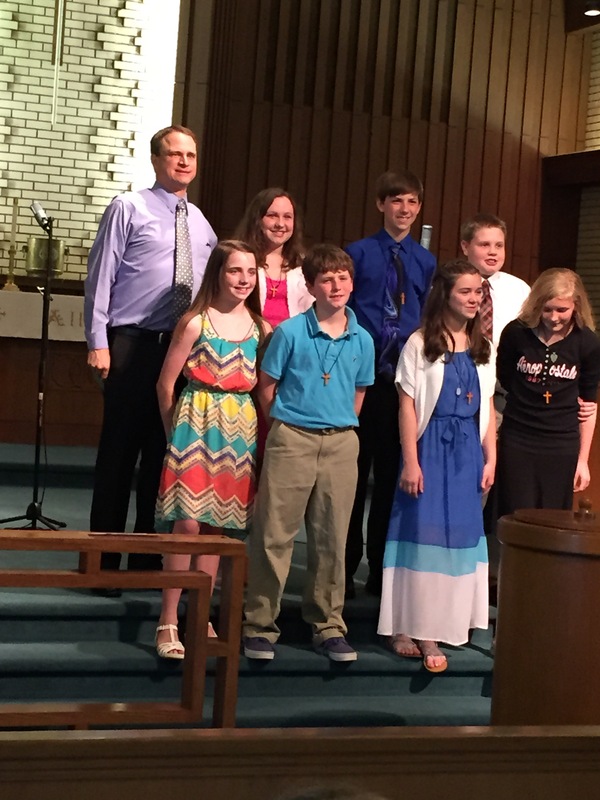 During the worship seven youth were confirmed and one was baptized. Several things were special to me in this service: the first being that I baptized most of these youth when they were infants. It was special to be able to watch them grow up and be involved in some of the events of their lives. And now here they are, all these years later, making this great commitment of their lives. All the church celebrated this day of commitment… for all had participated in the Baptismal vows (all those years ago) to give these children every opportunity to grow up and make this decision for Christ Jesus on their own. Parents, mentors, family members, and the church stood behind each confirmand. Each have sought in their own way to live out the Gospel of Jesus Christ before these children. This day we thanked everyone who assisted in their growth in faith, love and charity. Isn’t it beautiful when the church works and people surround each other in the arms of a loving God? People lift one another and the language of love is spoken. Thank you for the gift you have prepared for these youth all these years and for sharing in this day when they said “Yes” for themselves.